The Community Grants program provides an opportunity for local non-profit organizations to apply for funding for projects that will improve the lives of women and girls. Provides for greater accountability with regard to how the funds are used. 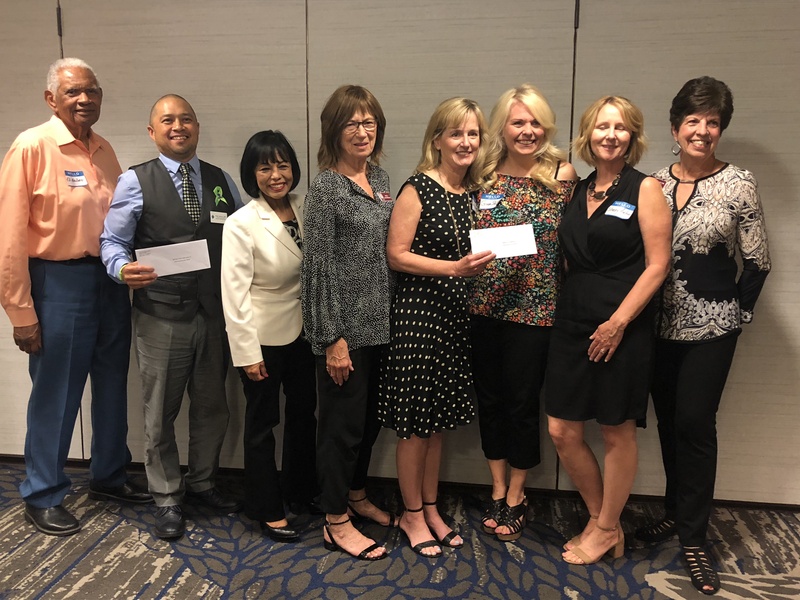 Two agencies were recipients of Zonta’s Community Grants for 2018 were Sam Dixon Family Health Centers and Fostering Youth Independence. The competition was tough with 11 agencies and organizations applying. Organizations wishing to be considered for a grant must be a 501 c 3 and submit a project that aligns with Zonta’s Mission and Vision of Empowering Women through Service and Advocacy. The money must be used for direct services only and provide services to residents of the Santa Clarita area. Sam Dixon Family Health Centers (SDFHC) are a full safety-net provider of primary care, mental health counselling and oral care with the special emphasis on the uninsured and under insured. Their project is to support low income women who are uninsured to ensure their overall health and well-being. 50 women will be provided with free laboratory services. The women will also be assessed for qualification for programs such as Medi-Cal, covered CA and My Health LA, and enrollment will be initiated where applicable. Fostering Youth Independence (FYI) was founded in 2017 by three Santa Clarita Women who saw a need and had the passion to help the underserved population of foster youth leaving the LA County foster care system without have been adopted or reunified with their birth parents. The College and Career Bound Project equips young women with the tools they need to complete post-secondary education and gain employment. The funds will provide 5 qualifying young women with dorm supplies or professional wardrobes.